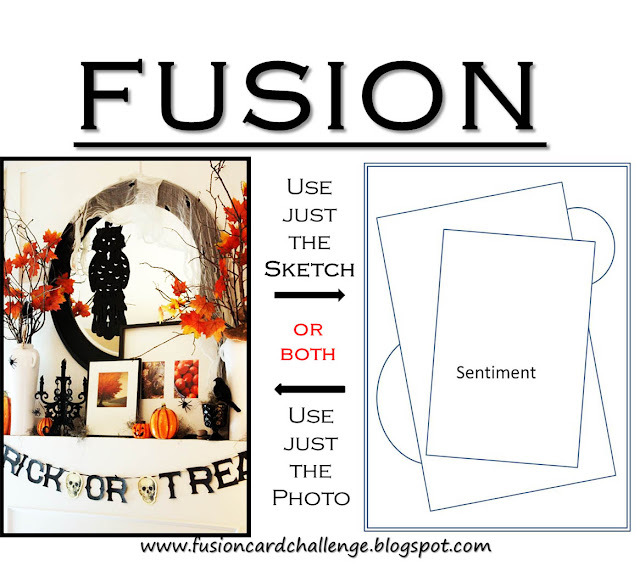 Stopping in with a card for the Fusion Card Challenge. I used a few papers from previous years paper pads and die cut doily that I picked from work (Michaels) and a halloween set from Close to my Heart that I hadn't used before. What a fun and spooky card. 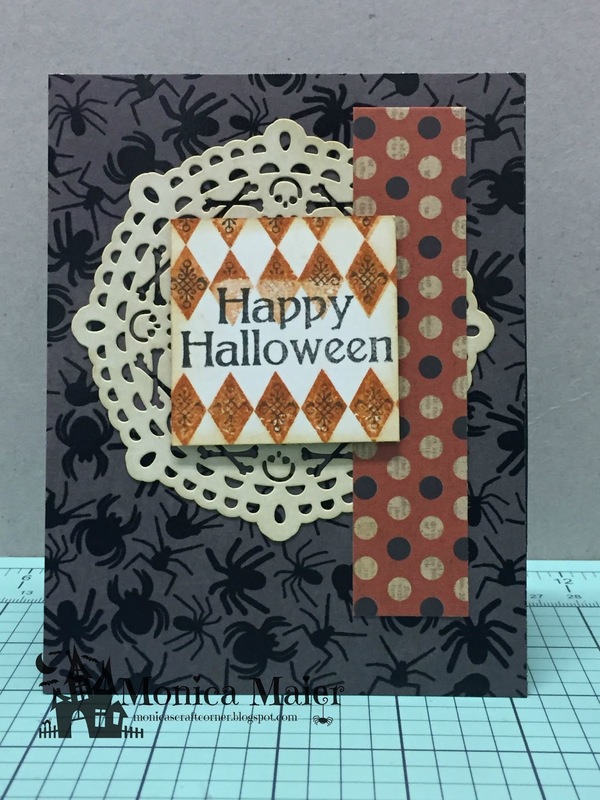 Love the spider paper!!! Thank you so much for joining us at the Fusion Card Challenge.